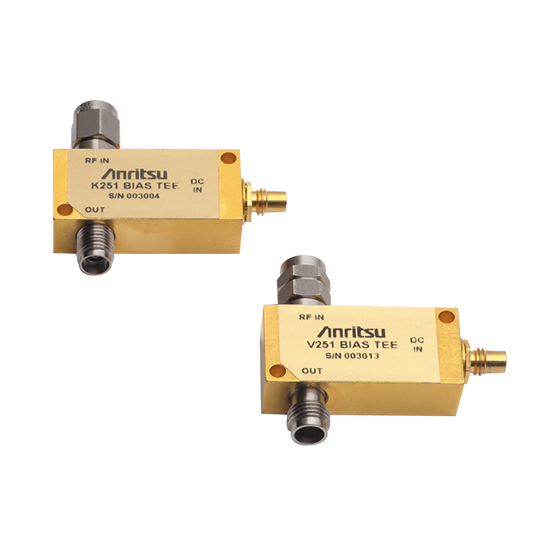 These ultra-wide bandwidth bias tees have been optimized for optical communications and other high-speed pulse, data or microwave applications. Designed to simultaneously apply both DC and RF drive signals to a device via a single input port, these bias tees feature fast rise times, excellent low frequency response, minimum insertion loss and flat group delay. Precision K Connector® and V Connector® interfaces assure excellent impedance match across the wide band-widths available. A one year warranty is provided. Specifications apply over the full DC Bias range and over the temperature range of 0°C to +70°C.